Escape into the Serenity of the Game! If you enjoy a serene, mountain experience when you play golf, the City of LaFayette Golf Course is the place for you. The LaFayette Golf Course is an escape for golfers searching to find a peaceful atmosphere, in a quiet setting, surrounded by the natural beauty of the north Georgia Mountains. The par 72 course features 6,436 yards of bent grass greens and hybrid Bermuda grass fairways and rough. It’s open every day except on Christmas. Golfers looking to get away from the big city, where often courses are located near heavy interstate traffic, will enjoy our small town atmosphere with a full size 18-hole golf course. It’s a professional sized golf course and there is nothing small town about it! Whether you are a youngster just starting out, an avid golf enthusiast, or a respected senior enjoying a round of golf, we are here to give you the golfing experience you deserve. We host many school tournaments, championships, couples golfing and senior tournaments as well as many other events and activities. We are located at 1 Fred Henry Drive in LaFayette, Ga.
How about the best of both worlds? A variance of how golf was played in traditional history and modern era golf? The LaFayette Golf Course is a true challenge for any golfer to adapt to as it’s far from a simple course. It’s basically two courses in one! It’s a little bit of “old school meets new school” as the course has two varying sides. The original 9-holes—which make up the first side—were built in the 1930s and are relatively short, but require accuracy both off the tee and in the approach shot into small greens. A few bunkers are strategically placed on just a few holes. It’s a course representative of how the game was played in the early 1900s. The “new school” side is much longer—like most modern courses—with open grass bunkers, elevated greens, mounds and out-of-bounds that place a premium on club selection and strategy. The “new school” 9-holes were constructed in 1992 and designed by Arthur Davis. The course also has a full service—300 yards long/75 yards wide—driving range that is open to the public from 8 a.m. to 7 p.m. A small bucket of balls costs $3. A large bucket costs $6. The driving range fits up to 20 people at one time. Whether you are just starting out, wanting to improve your game, or just want to hit some golf balls for an hour or two, the full service driving range is waiting on you, Jackson said. Jackson manages the day-to-day operations of the golf course and is the golf course Golf Pro. Jackson became a Golf Pro in 1985. He is a native to the city and grew up with the original 9-hole course, where he won various State Championships. “My job as a Golf Pro is to teach,” Jackson said. Lessons are available to anyone wanting to learn the game. Junior camps are available in the summer for 4-year-olds up to 17-year olds. Jackson also teaches the importance of golf etiquette on the greens. Regular lessons are $40 per lesson and discounted packages are available as well. Golf lessons are available by calling the Pro Shop at (706) 639-1580. 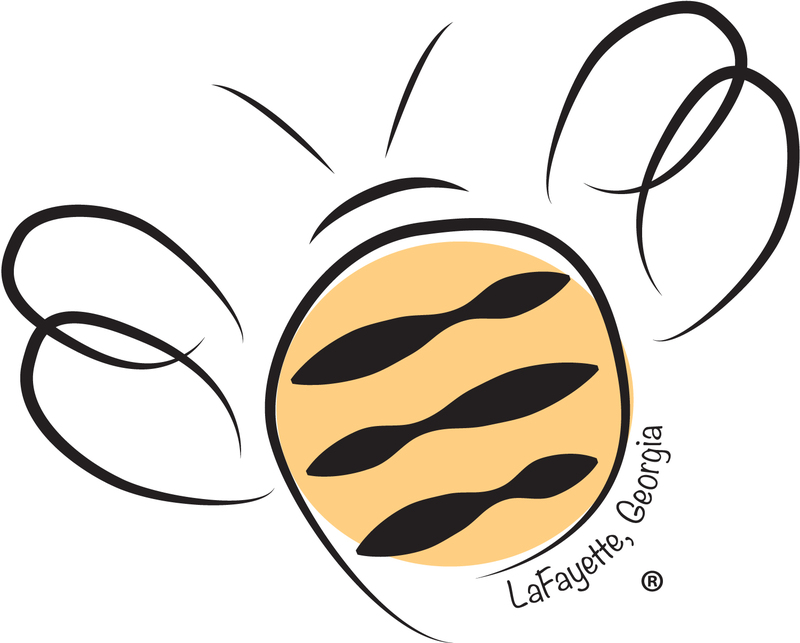 T he LaFayette Golf Clubhouse is a great place for the community and visitors as it houses a variety of banquet room facilities that are available for weddings, anniversaries, birthday parties, meetings, etc. The banquet facilities are rented at $350 per day. Special discounts are available at different times of the year. Call in advance for specials and tee times. Our Pro Shop is stocked to fill your essential golfing needs. The Clubhouse hosts a Snack Bar & Grill where we serve breakfast and lunch with daily lunch specials offered. Grill hours of operation are 9 a.m. to 4 p.m. and we are open every day of the week. Want to enjoy a cold alcoholic beverage with your meal? We have it! Wine is available for special events as well. Sit back in a rocking chair and take in the scenery. Call the Snack Bar & Grill telephone number at 706-639-1580 to learn more about our menu. If you are looking to get some exercise, why not walk our beautiful golf course? Walking hours are open to the public 7 days per week except 7:30 a.m. to 2 p.m. on weekdays and holidays. Are you ready to play a round? For Tee Time reservations, corporate outings or tournament bookings, etc., contact us at 706-639-1580. To book a Tee Time online click Book a Tee Time. “Come out and experience LaFayette Golf Course. We are a hidden gem in North Georgia that has a lot to offer you, your family and friends,” Jackson said.